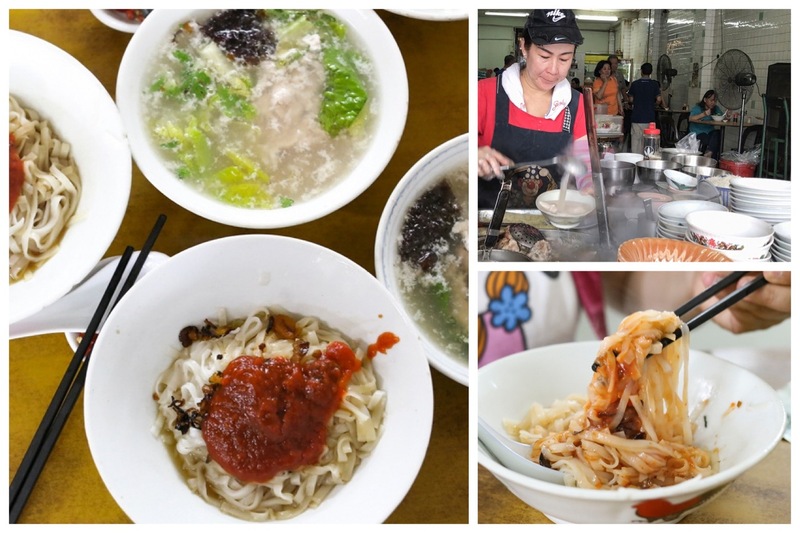 [Johor Bahru] During the drive down to JB in search for food, my ‘JB regular’ friend Diana recommended Ah Hua Kway Teow 亚华粿條 as our number 1 stop. 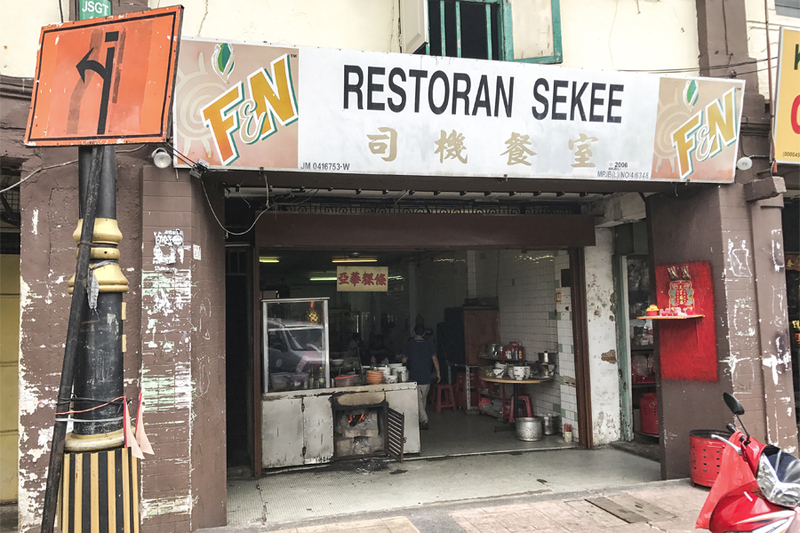 Some people call it the “Restoran Sekee Kway Teow” as the stall is located in this coffeeshop at Jalan Segget, located a short walk away from the Causeway. “Sekee” here imply taxi drivers. It is the only remaining stall remaining there. 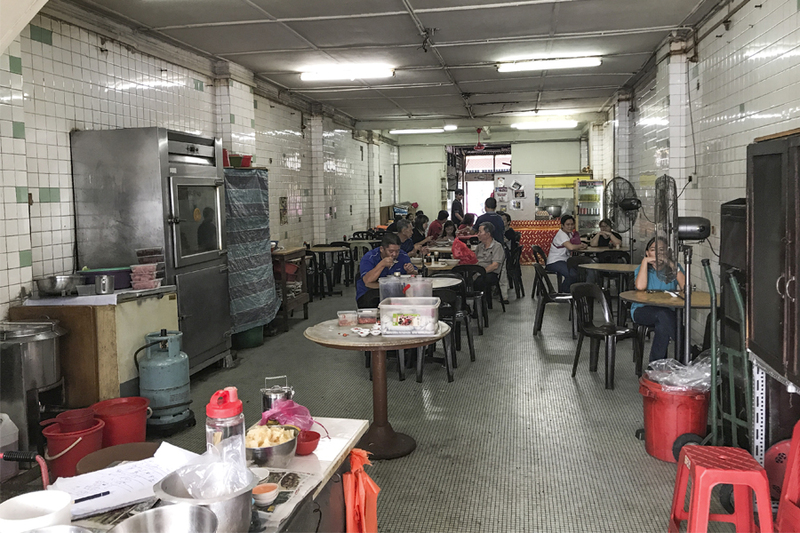 Walking into the coffeeshop, the interior brought back loads of childhood memories, as its rundown look (the walls, the tiles, the clock, the calendar) remind me of the yesteryears, especially with charcoal aroma lingering in the air. Could be an age thing, but as things back home get too commercialised, we start longing for a taste that could be forgotten. I enjoyed watching her cooking – with that certain calmness and ease, not hurried, not rushed. 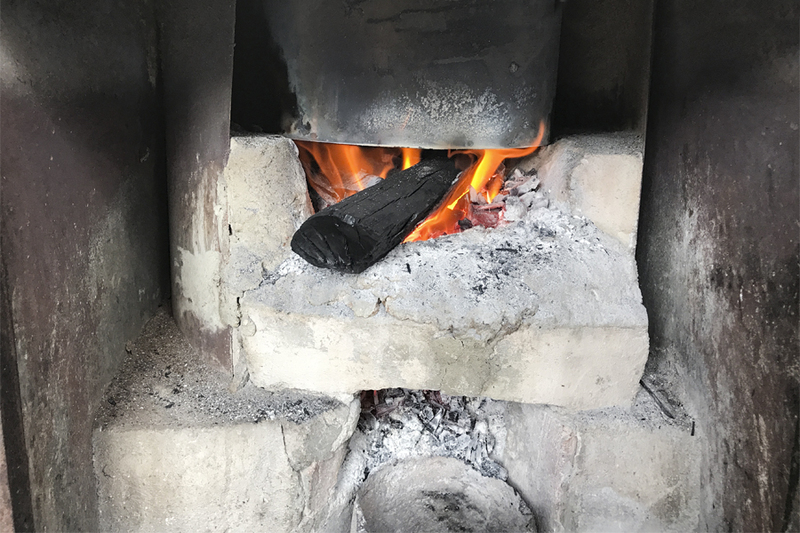 The one special thing to note is that the noodles and soups are cooked over charcoal stove, which imparts certain consistency to the heat. 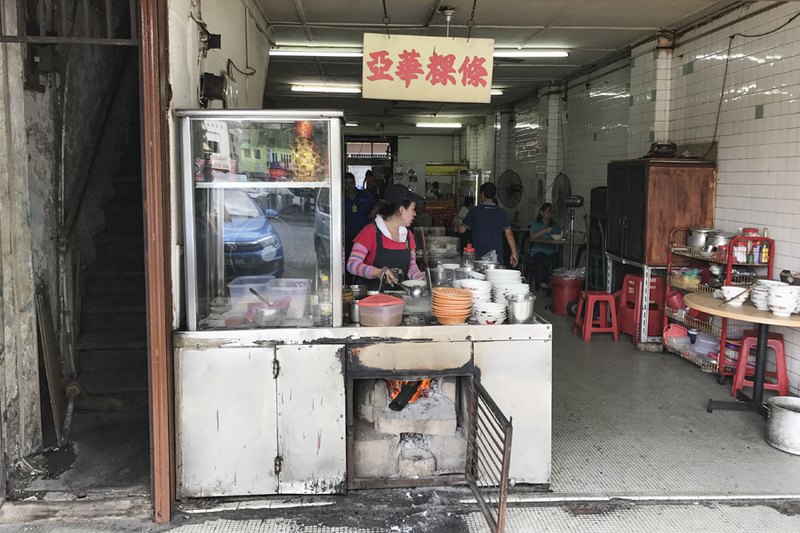 Ah Hua has a simple list of offerings, and there is only the option for dry or soup traditional Teochew style Kway Teow. 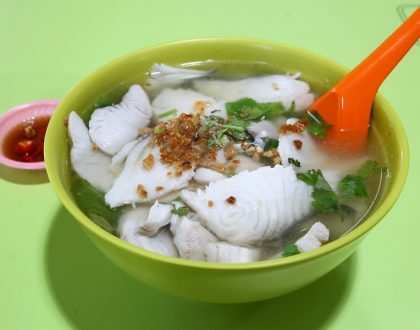 Prices are at either RM8 for the small bowl, RM16 for the large, or RM18 for the special bowl with oysters. 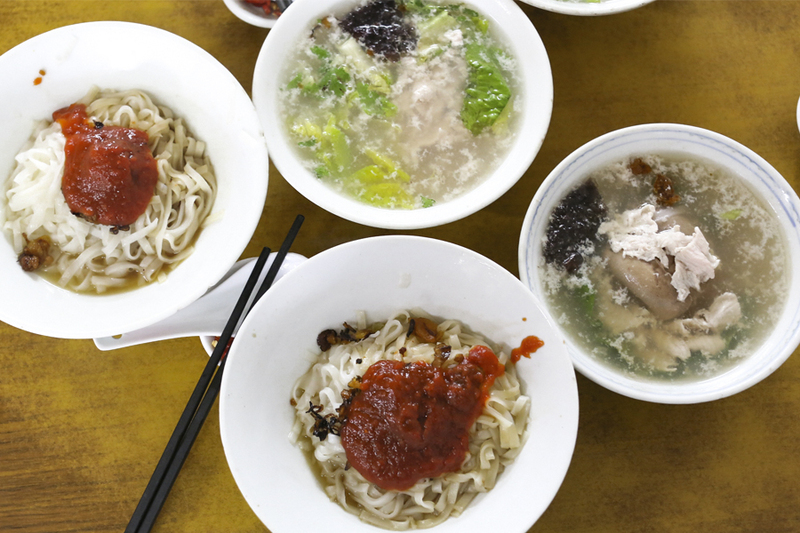 The stall does not use any MSG or artificial flavourings in it rice noodles. 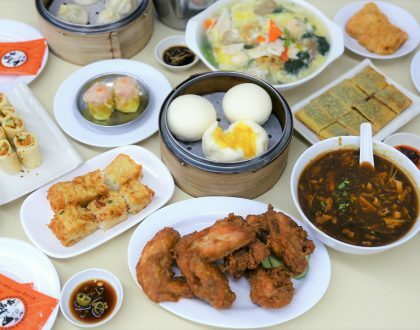 Each bowl is also cooked to order using fresh ingredients, not pre-cooked or in large batches. 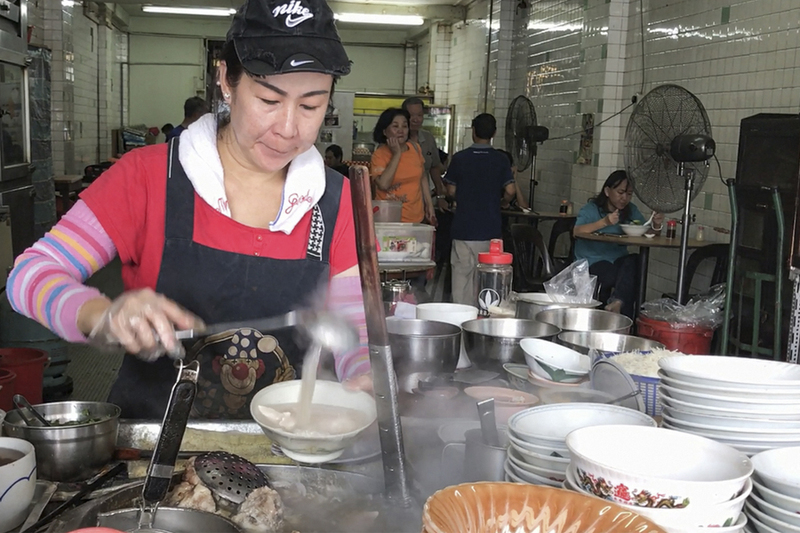 I realised why Singaporeans would love the Kway Teow so much. It had this fresh, thin silky texture, and light on the finish. It just slipped down the throat. 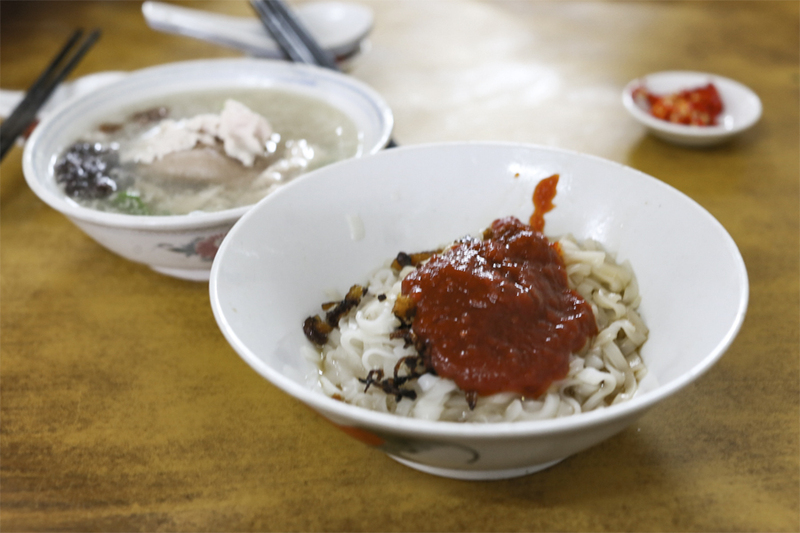 We are already used to few brands of factory-made rice noodles, and having something like this was refreshing. The splashes on chilli sauce were supposedly the highlight of the noodle. I was slightly impartial to that, but agreed it had a unique vinegary tang. 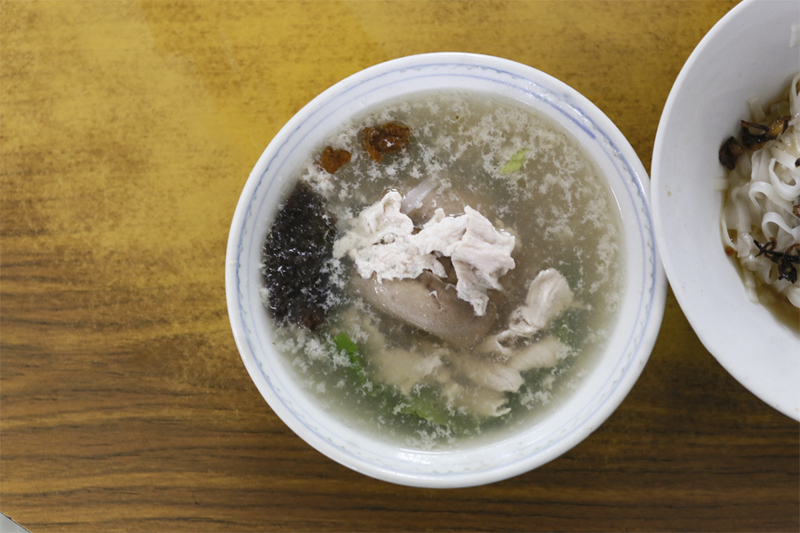 The soup was light yet flavourful, with generous servings of kidney and liver that did not have a gamey aftertaste. In fact, I seldom enjoy taking kidney slices, but this was worth it. 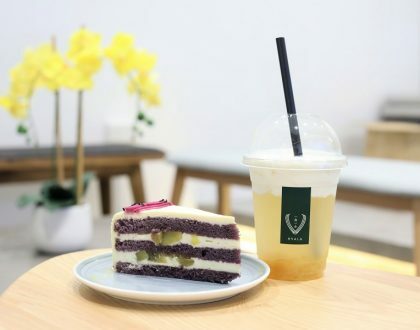 I was told that waiting time can go up to half an hour or 45 minutes during peak periods during the weekends, so a weekday venture down could be more fruitful.